Princess Rapunzel received an interesting offer from which she could not refuse. Immediately eight paparazzi offered her to take a photo for eight different magazines. And this photo will be on the cover of eight different magazines! What girl can refuse such an offer? 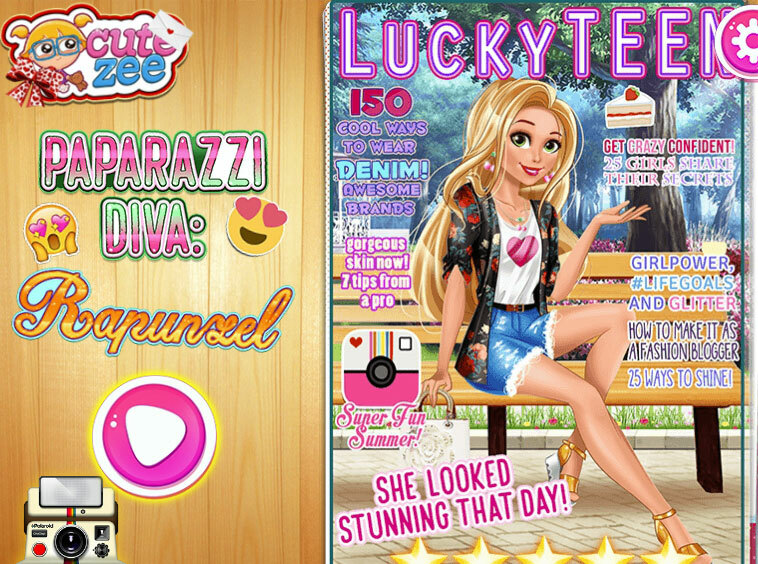 In this dress up game, the photo of Rapunzel will appear on the cover of magazines. Let's plunge into this fabulous world and help the princess look stunning so that all the magazines publish photos of our beauty. In this game of dress up with a Disney princess, you will have eight photo shoots and they are all in different places. Use your imagination and imagination to give the photographer an idea of ​​the image in which the girl will appear on the cover of magazines. We also have dress up games with princesses . So if you still have a desire, be sure to visit this section and you are guaranteed a good mood! Played: 2565. Added: 15-11-2018, 10:57. Paparazzi Diva Rapunzel Dress Up Game.